Embattled EPA Administrator Scott Pruitt has resigned. President Trump announced the acceptance of his resignation Thursday afternoon onboard Air Force One while travelling to a rally in Montana. "I am stepping down as Administrator of the EPA effective as of July 6. It is extremely difficult for me to cease serving you in this role first because I count it a blessing to be serving you in any capacity, but also, because of the transformative work that is occurring. 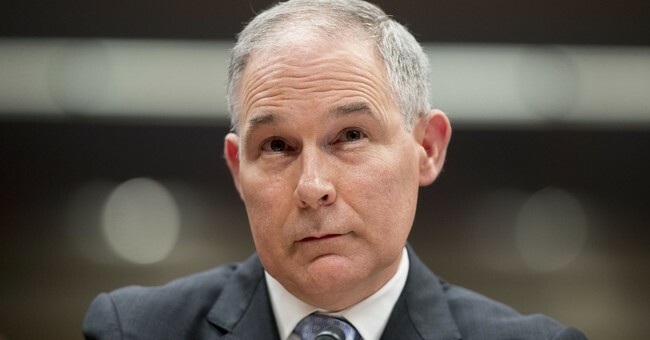 However, the unrelenting attacks on me personally, my family, are unprecedented and have taken a sizable toll on all of us," Pruitt wrote in his resignation letter. "My desire in service to you has always been to bless you as you make important decisions for the American people. I believe you are serving as President today because of God’s providence. I believe that same providence brought me into your service. I pray as I have served you that I have blessed you and enabled you to effectively lead the American people." Pruitt has been under fire for months for a series of ethical violations and questionable practices. A report this week accused Pruitt of forcing entry-level aides to put his hotel and travel on their credit cards and never paid them back. Previous accusations include offering oil companies special treatment as EPA director and obtaining a sweetheart rental deal on Capitol Hill from an energy lobbyist. He also gave hefty raises to two employees with whom he had friendships after the White House denied an increase. Pruitt has been under fire for months and defended against his critics during an interview with Fox News in April. Republicans and Democrats called for his resignation, with some demanding a criminal investigation into Pruitt's conduct.